This is a water sensor /rain alarm circuit diagram; it can be used on motorcycle, car or other device that we want to protect from water, rain. This is a simple water sensor/rain alarm circuit that makes an alarm when water/rain falls on its sensor. 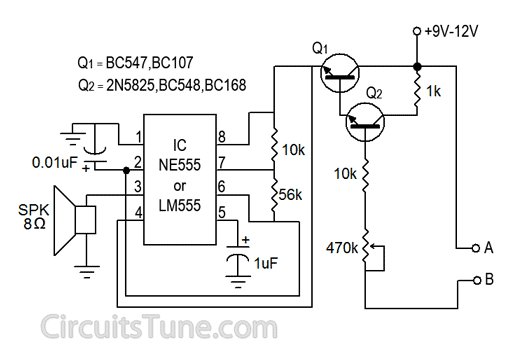 This circuit is based on NE555/LM555 IC and two transistors (Q1&Q2). 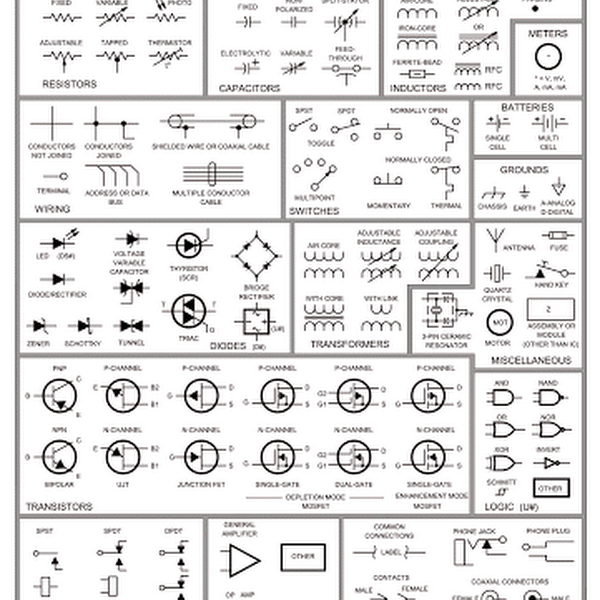 For transistor Q1- BC547 or BC107 and for Q2- 2N825,BC548 or BC168 can be used in the circuit. This rain detector circuit can be supplied from voltage source of +9V-12V DC. The resistor 470K ohm is a POT/Variable resistor; it is used to adjust the sensitivity of water/rain sensor. Use a 8 ohm,0.5w-1W speaker to hearing better alarm. Less than 8 ohm speaker could be harmful for the IC 555. We can make the water sensor as shown in the image (Fig-2) using aluminum conductor like a naked wire . Here can be used other conductor but we suggesting to use aluminum. Can a relay be used in place of the speaker and, if so, what voltage? I had trouble finding a 0.01uF polarized capacitor so tried replacing it with a non-porarized capacitor. Dunno if that's the problem, but, so far, it hasn't worked. Of course you can but with a required interface for relay.